Walshe’s Property is pleased to offer you this End Terrace Property for sale in the sought after town of Crowle. 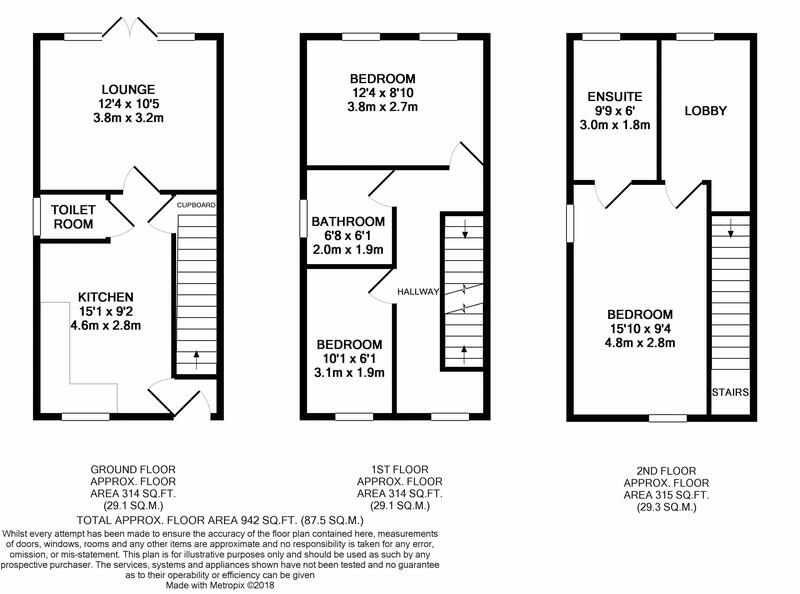 Located close to local amenities and within close proximity of the M180 junction. The ground floor accommodation comprises of the modern kitchen/breakfast room, downstairs W/C and family living area with patio doors leading out to the garden. The first floor boasts two double bedrooms and the family bathroom with bathtub and mixer shower. The second floor boasts the master bedroom, offering sky lights and the en-suite shower room. Externally, the property offers a modest rear garden and off road parking.